Requiem mass will be celebrated at St Annes RC Church, Accrington followed by interment at Great Harwood Cemetery. Passed away at Eden Mansions Care Home, Styal, Cheshire fortified by the Rites of Holy Mother Church, on 1st April 2019 aged 85 years. Claire attended St Charles RC School, Rishton & Paddock House School, Oswaldtwistle, before training as a nurse at Royal Blackburn Hospital. On qualifying she moved to Bolton General Hospital and briefly North Middlesex Hospital, London before qualifying as a Midwife on return to Blackburn. On marrying her husband she lived in Ashton-Under-Lyne where she had her two sons Robin and Kieron and qualifying as a health visitor, working in Ashton until her retirement. Claire was a member of the Ashton Catholic Women’s League. 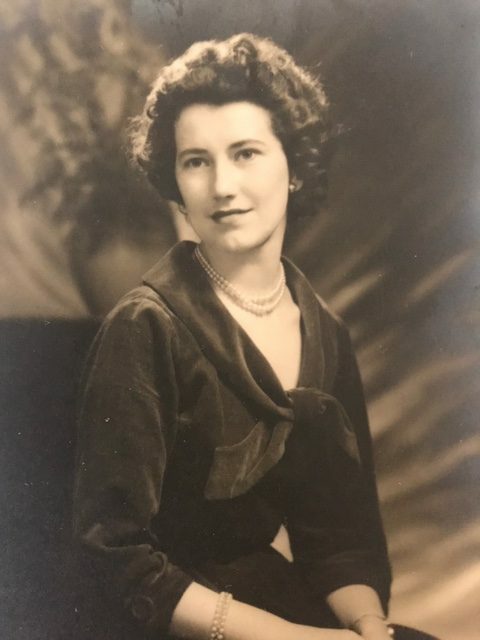 Following her husband’s death she returned to Accrington where she attended St Annes RC Church until her health deteriorated and she went to live at Eden Mansions Care Home, Style, where she passed away peacefully with her two sons by her side. She leaves her sister Christine, brother Thomas, grandchildren Cameron, Bethany, Naomi and Natalie, Siobhan and Danielle who all fondly remember her as a caring mum, sister and grandma, with a great sense of humour. No flowers by request. Donations may be made in memory of Claire on behalf of St Anne’s RC Church, Accrington.